care quicker care Wherever... Whenever care. better. Your daughter is stranded at home with a recurring rash. With Vieux Care, you snap a photo and text or email it to your doctor. Within minutes, your doctor responds to your inquiry, diagnoses your daughter’s problem, and electronically fills your prescription, which you can pick up at the office, have mailed to you, or pick up at your preferred pharmacy. Text, call, tweet, email, or visit in person with your doctor for immediate care. When your doctors know you by name and fully understand your medical history, you can receive cost-effective care quicker than ever before. You’re sick at home for the fifth day in row and you need to be healthy for a meeting later in the week. Instead of stressing about how you’re going to get to and from the doctor’s office, let your doctor’s office come to you. Vieux Care can help save you time and energy by providing Telehealth visits. This is true care. Wherever. Whenever. Visit your doctor or let your doctor come to you. If you’ve been dreaming of getting out of the waiting room and into everything else, then Vieux Care is your answer. Sometimes you have too many questions for a phone call, text or email. You want to feel like your doctor cares about you instead of feeling like you’re being rushed out the door. At Vieux Care, you can use your same-day, next-day or Telehealth appointment to ask your doctor all the questions you’ve been too afraid to ask before — without the time constraints that plague traditional practices. Discover what it’s like when your doctor actually spends time with you. Doctors who spend time with their patients are better suited to diagnose, prevent, and treat chronic illnesses. Our services were designed to get you healthy as quickly as possible. With Vieux Care, you can receive personalized care like it was intended. See what it’s like to have a personal connection with your doctor, receive higher quality care with less hassle, and spend quality time with a doctor who understands and cares about your needs. Eliminating the paperwork, insurance approvals, and insurance regulations allows us to focus on what’s important…you. With same-day scheduling, next-day scheduling, Telehealth visits, and direct doctor-to-patient communication, you can receive services that actually work for you. 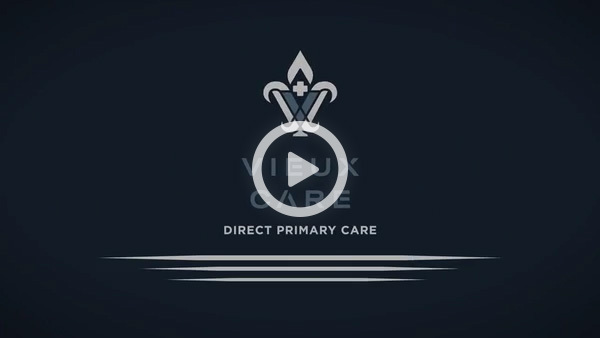 We are a passionate direct primary care practice based in a suburb of New Orleans whose focus is on our patients and their needs. Our patients are resilient, strong, and courageous, and we provide them with real care so they can get out of the sick room and back to their lives.